If you want a joint that will give you the strength and articulation you need for off-roading, but won't make highway driving a nightmare, then Daystar's Poly Flex Joints are your answer. 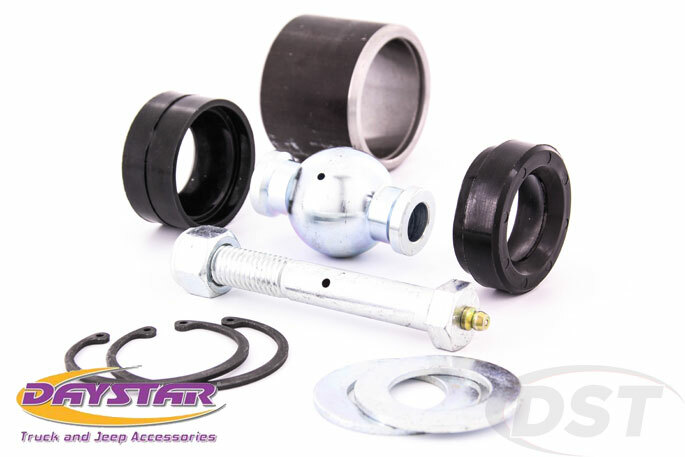 Daystar's Poly Flex Joints use a spherical metal ball and shell with polyurethane bushings to provide a strong but quiet alternative to heim joints for tie rod ends and drag links that are easily maintained and rebuildable. If your truck or SUV is sporting larger off-road tires then it only makes sense that your steering linkage should be bigger and tougher to handle moving around the extra weight. A metal ball in a metal housing, like a heim joint, is a more dependable articulating joint that is strong enough to stand up to extreme conditions and rough terrain. 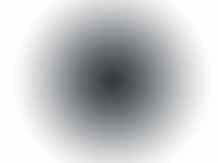 The downsides are unforgiving firmness during extended time on the road and metal-on-metal noise as the joint ages. If you want a joint that will give you the strength and articulation you need for off-roading, but won't make highway driving a nightmare, then Daystar's Poly Flex Joints are your answer. By sandwiching the spherical metal ball between specially designed polyurethane bushings the joint remains strong, but noiseless. These joints are easily maintained with a greaseable bolt and bearing and if you're especially rough on your Jeep or truck these joints can be rebuilt with individual components making them a good long-term investment. So check out Daystar's Poly Flex Joints for a quiet, high-articulation pivot point.